Selling at trade shows, we have the privilege of talking with many pet owners. The “do dogs go to heaven” question seems to be a concern high upon some hearts. I wrote this for them and others that may wonder the same. 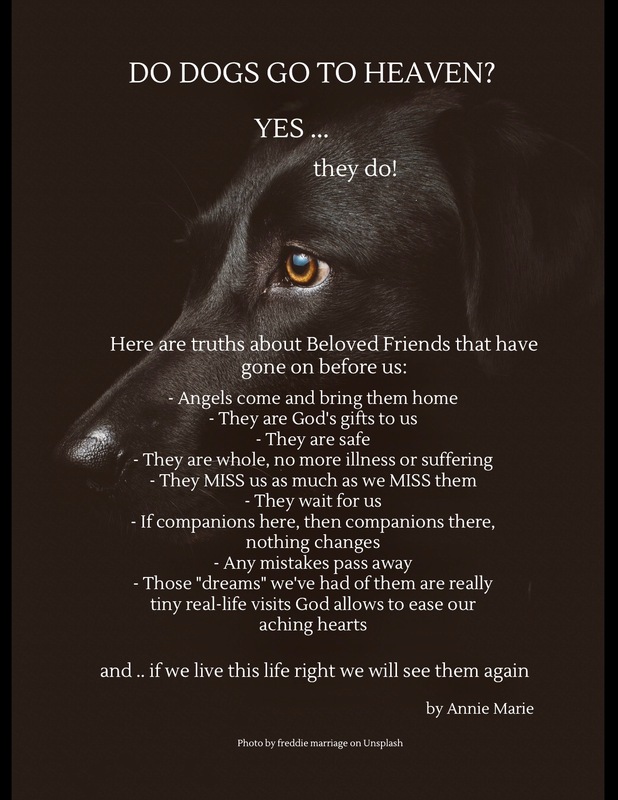 It is to be hoped this helps answer this and some other questions they may have, as well as bring comfort to the hearts missing their best friend. 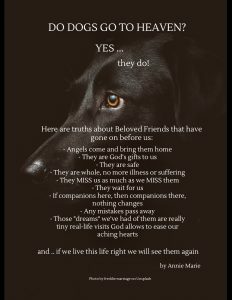 Do dogs go to heaven seems to be an unanswered question in the hearts of many dog owners that have lost a Beloved Friend. This writeup is based upon personal experience and is being shared in the hopes that it answers this and possibly other questions as well as provide comfort to aching hearts. Oh Ann Marie. You are an inspiration and spread Hope where ever you go. May your tribe increase! You are so generous. See you soon at the Markets.